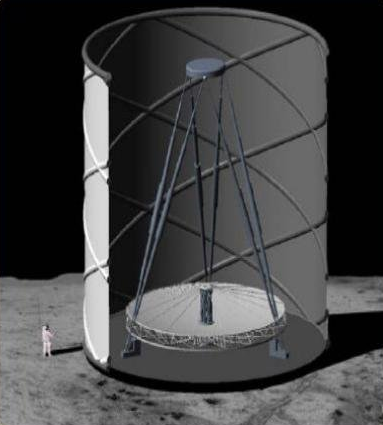 The International Lunar Observatory Association (ILOA) is initiating, supporting and collaborating with projects around the world to advance human civilization to the Moon for good, and for all. The bottom line is, Stars are important, we are all Star-stuff! 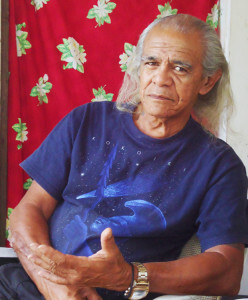 KEYNOTE: Astronomy from the Moon and Hawai`i: Cultural Perspectives – Kimo Keli`i Ka`aha`aina Pihana, Hawai`i Kupuna and Cultural Practitioner; Author of “Celebrating the Hawaiian Culture”, also serves on the ILOA Board of Directors. I am just an ordinary native Hawaiian who grew up on O`ahu. I have had a full life as a sailor, a soldier, a refinery worker, a cultural warrior, and a ranger and cultural practitioner on our sacred mountain Mauna Kea. I have done my part, along with many others, as best as we can to advance and honor our culture — not to recreate the old culture, but to use it as a guide, a meditation, as we look forward in the 21st Century. I am a Native Hawaiian, 100%. The attitudes of society when I was growing up made me feel ashamed to be Hawaiian. Things are somewhat better today. But as Hawaiians, we have been steadily losing our culture for a couple of hundred years. We often talk with our kapuna, our wise elders, seeking answers. But our kapuna are dying rapidly, and don’t have enough answers yet. How do we deal with this? Imua (move forward) – with humility. Expect you’re going to get criticism, whatever you do. You can get lonely sometimes. And expect the unexpected – you’ve gotta deal with it all. How? Go back to the beginning, within. Are you pure in your heart and soul? Are you spiritually pono – Balanced? Go to that spiritual fire that is deep inside. Romance that fire. Take time with it. There is a magic that each of us carries. Let it come out. The 7th Edition of ILOA’s stellar “Galaxy Map” is now being distributed to high school teachers and other educators around the world, designed for use in every class, alongside maps of the world and Solar System. Our Universe is home to at least 100 billion galaxies, vast agglomerations of stars, gas and dark matter. Today, astronomers around the world study galaxies using a variety of facilities, including ground-based and space telescopes. The Moon’s surface is another promising location to conduct these astronomical observations. In this presentation I will examine the potential of the lunar surface as a site to study galaxies, as first demonstrated during the Apollo 16 missions in 1972. I will then discuss recent observations of the spiral galaxy M101 that were conducted with the Chang’e-3 Lunar Ultraviolet Telescope (LUT), currently operating on the Moon’s surface. I will conclude with how these early results show the Moon’s full potential as a platform to perform galaxy studies in the near future. sacred place that you are connected to, the place that brings you peace and accepts your prayers, very likely the place where your grandparents and their parents once prayed, the place you would safeguard with all of your might, with all that you are and all that you have. If you said the holy name of that place out loud, would it be the name of a church or a temple or chapel you hold dear? 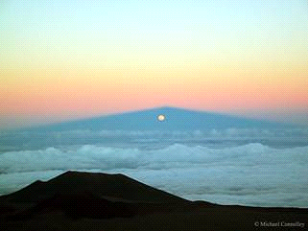 Say it, utter its name out loud as I do….my church, my temple, my mountain, Mauna a Wakea, Mauna Kea. The Canada-France-Hawaii Telescope (CFHT) is a joint non-profit facility of the National Research Council of Canada, the Centre National de la Recherche Scientifique of France, and the University of Hawaii dedicated to the exploration of the Universe through observation. Its telescope is located on the summit ridge of Mauna Kea, at 4,200 meters on the Island of Hawaii and CFHT headquarters are in Waimea-Kamuela. The telescope, with its 3.6-m diameter mirror, became operational in 1979. Once one of the largest telescopes in the world, CFHT, in spite of its age and nowadays modest size, remains at the forefront of astronomy thanks to the quality of its site, its state-of-the-art instrumentation, the quality of the services offered to its users, and the dedication of its staff. 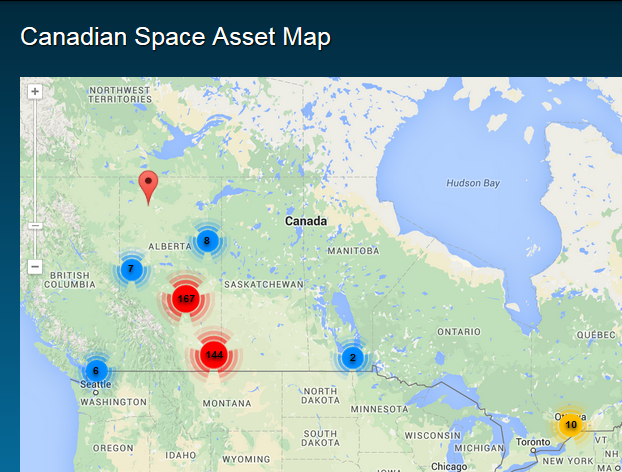 CFHT’s main users are scientists from Canada, France, and Hawaii. Collaborative agreements also offer access to the telescope by the astronomical communities of Taiwan, Brazil, and China. Access is granted following a competitive process based on the scientific quality of the proposals and their adequacy to the telescope. This is a crucial time for Hawaii. It is crucial for all of us who live in and love Hawaii to sit together and find common ground through face to face, eye to eye, dialog. It is up to us to define a long term future for Maunakea that honors its important cultural history, provides a platform for building a stronger cultural future, protects its environment, and strengthens Hawaii’s stature as the preeminent spot in the world for observing the universe. The Panel Discussion is about coming together to share knowledge and hopes for the future, most specifically the prospect of a new frontier — Astronomy from the Moon, and its benefits for Hawaii. 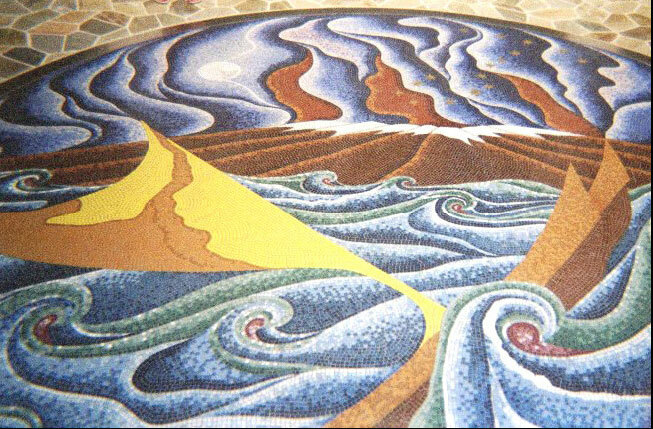 A primary goal is to provide a forum for community members to come together to consider the future of Hawaii in the truly global, soon to be Multi World, endeavor of seeking knowledge among the Stars, and applying this knowledge to the continual evolution of human cultures and capabilities. The bottom line is, Stars are important, we are all Star-stuff. Sherry Bracken has been with LAVA 105.3 and KKOA 107.7 since they first went on air in 2004. She writes, hosts, and produces the thrice daily event update Community Corner and the weekly interview program Island Issues. Sherry has interviewed more than 500 guests who impact Hawai’i Island—elected officials, scientists, police, drug addicts, members of nonprofit organizations, and more. She also moderates candidate forums and MCs events all around the island. She was the Hawai’i Island reporter for Hawai’i Public Radio for ten years. She moved from San Francisco to Hawai’i Island in 1994. Sherry was named to the Hawai’i Island Women’s Hall of Fame and has been recognized by the Hawai’i State Senate and Rotary Mauka Kona for community service. 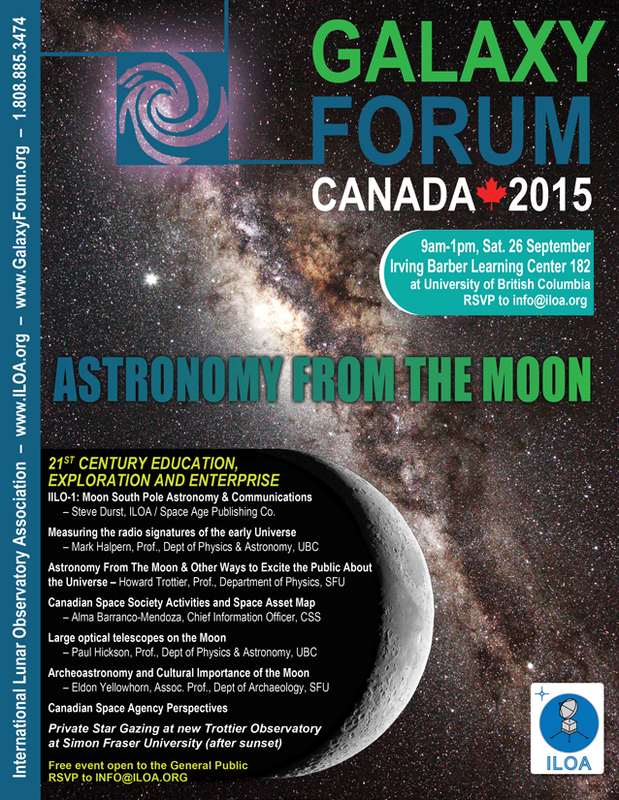 The International Lunar Observatory Association (ILOA), with the goal of advancing Galaxy 21st Century Education in every class, is organizing Galaxy Forum China 2015 – Astronomy From The Moon, on Wednesday 9 September 2015 at the multifunction hall at the Headquarters of the National Astronomical Observatories – Chinese Academy of Sciences (NAOC), in Beijing, China. Steve Durst Founding Director and Chairman of ILOA; Publisher and Editor of Space Age Publishing Co. 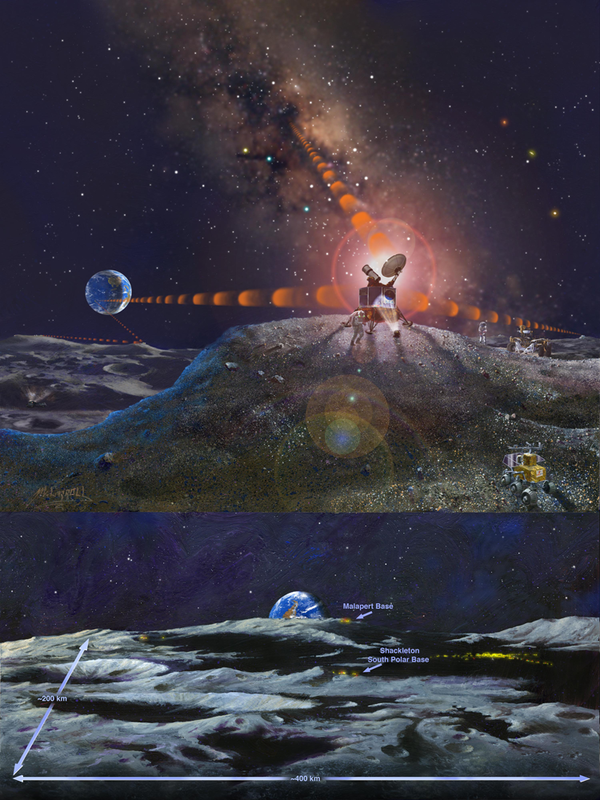 The ILOA, pursuing a series of Moon-based observatory missions to complement Earth-based and Space-based astronomy, seeks to advance Galaxy Imaging for 21st century astronomy and education with its ILO-1 flagship 2-meter radio antenna mission to Malapert Mountain 86ºS 2.7ºE near the Moon’s South Pole – as well as with the ILO-X precursor mission aboard a GLXP lander, and a Human Service Mission to the ILO-1 / robotic village new world frontier. ILOA now collaborates with the NAOC Lunar Ultraviolet Telescope at Mare Imbrium 44°N 20°W aboard the China Chang’e-3 Moon Lander, conducting operational Astronomy / Galaxy observations from the Moon, and intends to build on the pioneering successes of this project. 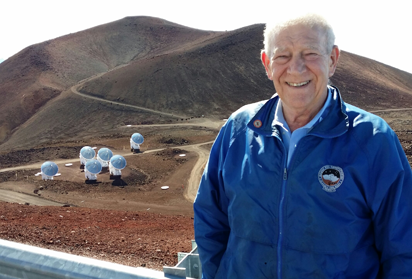 More than 40 years since the Far Ultraviolet Camera / Spectrograph operated on the Descartes Highlands by NASA Apollo 16 Commander and ILOA Director Emeritus John Young in April 1972, ILOA is drawing together resources from across the planet to reclaim humanity’s place as a multi world species. 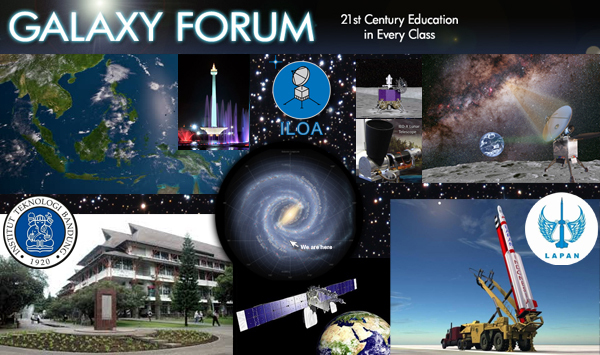 ILOA sponsors the Galaxy Forum program around the world to advance 21st century science and education and to identify and secure support for ILOA mission realization. Media Briefing: ~3:20pm-3:45pm — in separate meeting room adjacent to the main hall. Representatives of ILOA and other participating Organizations / Institutions / Individuals will be available to field questions from, and provide handouts to, accredited media representatives. Interview appointments with presenters will be available upon request. International Lunar Observatory Association ILOA is an interglobal enterprise incorporated in Hawaii as a 501(c)(3) non-profit to expand human knowledge of the Cosmos through observation from our Moon and to participate in internationally cooperative lunar base build-out, with Aloha – the spirit of Hawai`i. It sponsors, with affiliate Space Age Publishing Co., an education and outreach program known as Galaxy Forums. These are public events with presentations, panel discussions and attendee participation. 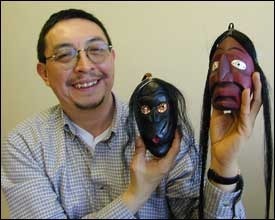 Efforts are made to integrate local cultures, perspectives, and traditional knowledge. 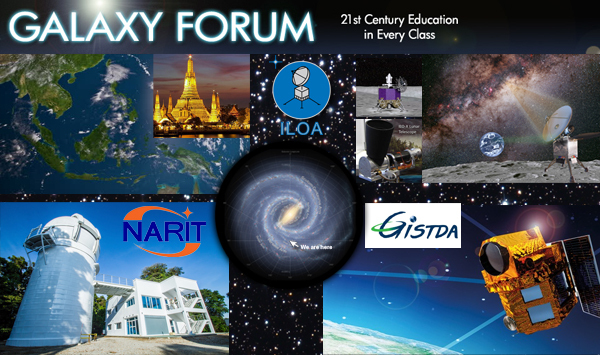 Galaxy Forums have been held in Hawaii, Silicon Valley, Canada, China, India, Southeast Asia, Japan, Europe, Africa, Chile, Brazil, Kansas and New York. 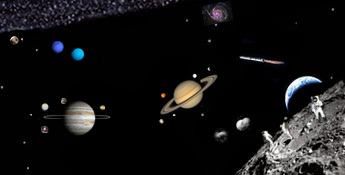 The theme for Galaxy Forum Kansas this year is “PLUTO — Getting to Know You”. 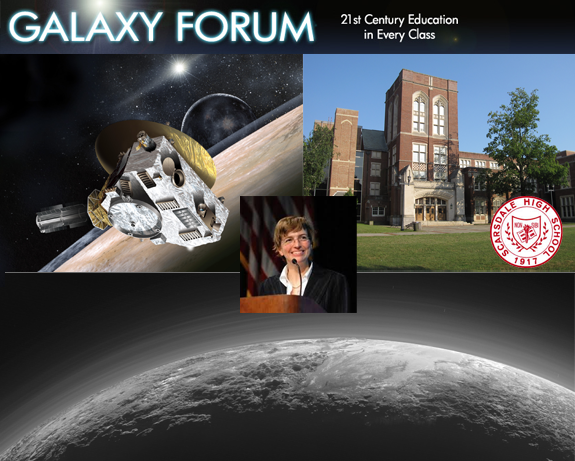 This is the 6th straight Galaxy Forum in Hutchinson, a program that has engaged hundreds of local teachers and accelerated the development of the Ad Astra Kansas Foundation. Founded in 2001 and an affiliate of the Kansas Space Grant Consortium since 2003, AAK Foundation is an information resource focusing on high-tech and space research in the state of Kansas with a mission to advance the Kansas State Motto, “Ad Astra Per Aspera” for the benefit of Kansas, America and the World. The program is embedded below. The 4th Regional Galaxy Forum Southeast Asia is taking place at the Science Centre for Education at the Bangkok Planetarium in collaboration between ILOA, National Astronomical Research Institute of Thailand (NARIT) and Geo-Informatics and Space Technology Development Agency (GISTDA). Thailand is a leader in the region for Astronomy and Satellite Technology. NARIT is a national research organization for astronomy in Thailand enabling the development of a collaborative research network both regionally and globally, and aiming at developing and strengthening knowledge in astronomy at an international level. They also ally with public and private observatories and other institutions around the World to pursue excellence in scientific research, education and public outreach. The 3rd Regional Galaxy Forum Southeast Asia is taking place at the National Institute of Aeronautics and Space (LAPAN) branch office in Bandung, West Java, Indonesia. In addition to ILOA, the event is co-organized by the Institute of Technology Bandung (ITB). Faculty of the Department of Astronomy at ITB have been a key factor in the development of the regional SEA Galaxy Forum program. Indonesia, the world’s 4th most populous country, is building 21st Century capabilities and investing in the future of Astronomy and Astronautics to the immediate benefit of students in every class across the archipelago. Scientists at the Bosscha Observatory, ITB and others, continue with plans to construct a 2.5-m class telescope and a 1-m radio telescope at Mount Timau or Mount Rinjani. LAPAN is planning to complete work on a Space Port and Launch Center at Morotai Island by 2025. This complex is to act as the test site and future operational base of the LAPAN experimental satellite launcher. Last year the Rocket Technology Center conducted a successful static test of the RX 320 booster generating thrust of up to 4.9 tons. This is one of two rockets that will form the building blocks of the 4 stage orbital satellite rocket Roket Pengorbit Satelit (RPS) that is currently in development.